I was thrilled to find today’s Real Party in my Inbox because it is a red hot classic! 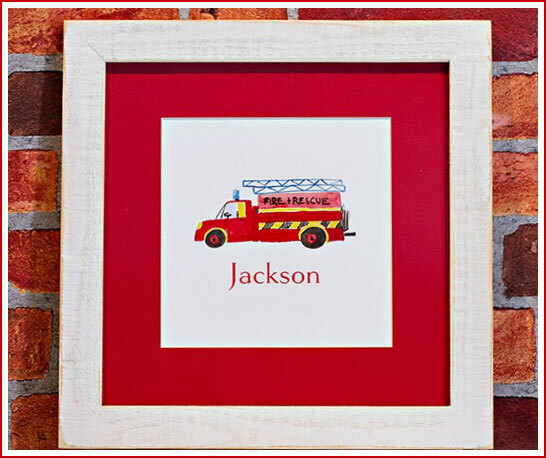 Kristin Mika from Hampton Paper Designs hosted this adorable Fire Truck Party for her son Jackson’s 4th birthday. It’s simple and stylish yet playful at the same time. Charming water color illustrations are used throughout this party on everything from the invitations to the cupcake toppers, cookies, candy, favors and thank you notes. 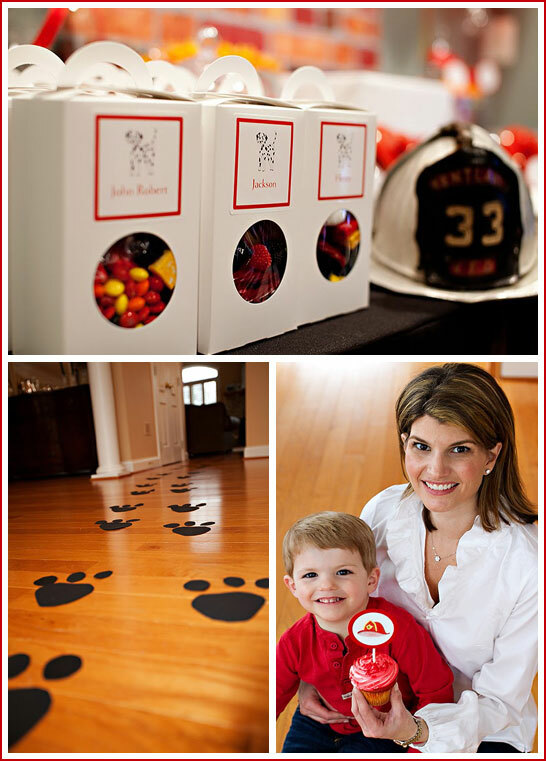 With fire trucks, hats and Dalmatian puppies, this party has it all for your little fireman! 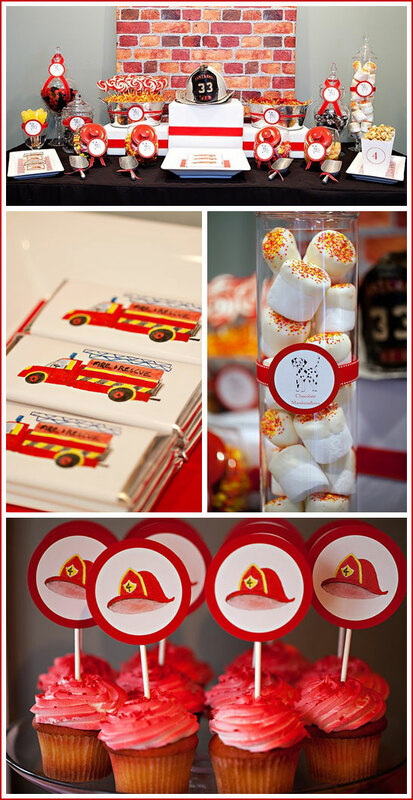 Special thanks to Kristin for sharing her son’s adorable Fire Truck Birthday with us. This party is definitely a 5 alarm! You can check out more of Kristin’s paper products on the Hampton Paper Designs Website and blog. This is such a cute party! I love the water color images!! So many great details! I love the paw prints leading the guests to the party area! I love this! So many fun parts to love! Lovin’ the pawprints and the brick background! Not to mention the super cute images! So cute! What were the candy ideas? We’re using a “We’re on Fire” theme at our school and wanted to incorporate a candy bar for our teachers. This looks so great, and a hot fireman! !